Banks as insurance brokers – Is it a good idea? You are here: Home / Banking / Banks as insurance brokers – Is it a good idea? There are about 87 commercial banks in our country with 1.2 lakh branches. There are 52 insurance companies operating in India; of which 24 are in the life insurance business and 28 are in general insurance business. According to RBI’s guidelines, all these Banks can now undertake insurance agency or broking business . All these years, Banks were allowed to be as Corporate Agents only (Since 2000 as per Section 6(1)(o) of the Banking Regulation Act-1949, banks can undertake insurance business as agents on fee basis) . That means Banks can be associated with just ‘one’ life insurance company and ‘one’ non-life insurance company. They are allowed to sell one company’s insurance products only. The selling of life assurance and other insurance products and services by banking institutions is called as Bancassurance. There has been a long pending demand from the insurance industry to allow banks to act as insurance brokers.The then Finance Minister (P Chidambaram) in the budget speech 2013-14 announced for the first time that banks will be permitted to act as insurance brokers. The Government’s participation in this issue has been criticized by RBI, LIC of India and individual agents. Later in November,2013 RBI has issued ‘Draft guidelines on entry of banks into Insurance business. After reviewing and working on draft guidelines, RBI has now issued final guidelines. Banks can set now up a subsidiary or join-venture for undertaking insurance business. If they decide to participate in undertaking RISK then they have to necessarily start a separate subsidiary or a Joint Venture. The Bank’s networth should not be less than Rs 1000 crore. Banks have to approach RBI to set up a subsidiary or JV company. As per RBI’s guidelines, a Bank can also set up subsidiary or JV without the ‘Risk Participation.’ In this case the net worth of the bank should not be less than Rs.500 crore after investing in the equity of such company. Banks need not obtain prior approval of the RBI to act as corporate agents on fee basis, without risk participation/undertake insurance broking activities departmentally ( subject to IRDA Regulations). So, we are now clear that Banks can act as Insurance Brokers. 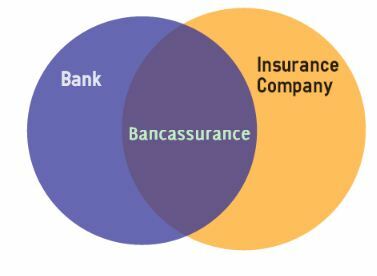 As an insurance broker, bank can offer multiple products from multiple insurance companies through its branches. Banks as insurance brokers – Is it Good or Bad? You may now have few questions – So what’s in it for me? Should I buy insurance from banks? Is it a good idea or bad idea to allow banks to do insurance business? Are we going to witness huge mis-selling by banks? Let us go through the below points and analyze whether this is a good move by the RBI/Govt. Who will curb mis-selling? Given the rampant mis-selling that takes place in insurance business it remains to be seen who will curb mis-selling (if it happens). Will it be the RBI or the insurance regulator (IRDA)? On paper, it is mentioned that banks need to ensure that consumers are treated fairly and are responsible for the suitability of products sold to the customer. But, RBI has not prescribed any penalties for failure to comply with these guidelines. “Trust” is the key factor in any business. This comes naturally when we do business with a banker. Based on this, you may be taken for granted and your bank may offer unwanted insurance products. I personally believe that this may turn out to be a WIN-WIN situation for banks and insurance companies. Whereas, it can be a ‘lose-lose’ situation for customers and individual agents. Banks can push only those insurance products which offer them high commission. They may not bother about your actual requirements. As per the RBI’s guidelines, no incentive (cash or non-cash) should be paid to the bank staff engaged in insurance broking/corporate agency services by the insurance company. On paper it looks fine but is it possible to execute this guideline. The relationship managers or bank staff will surely have their own business targets to achieve. This can easily lead to conflict of interest. I do not think Banks will sell Term insurance plans to its customers given the low commission structure. Banks can easily cross-sell insurance along with its banking products. They can lure its customers to take unwanted insurance products by providing some freebies on banking products. They may also say that it is mandatory to buy an insurance policy to avail benefits of banking. Insurance is not a core product of a bank. The bank staff may not have the bandwidth to sell multiple insurance products. Insurance players like HDFC, ICICI, State Bank of India (SBI) and Max have a major part of their business coming from bancassurance partners. This change is expected to significantly benefit insurers that do not have a major bank alliance partner. These include Reliance Life Insurance, Exide Insurance, Future Generali, Birla, Bajaj, Aegon Religare, Bharti Axa, Shriram Life and Sahara Life. We need to wait and see how many banks will take up insurance business as Insurance brokers. IRDA (Insurance Regulatory Development Authority) is also evaluating fresh norms for banks to act as intermediaries. Insurance penetration and insurance density are more about ‘premiums collected.’ It is not about the quantum of insurance coverage. I believe the quantum of insurance is more important than how much premium you pay on your life insurance policy. If banks can act in good faith and sell insurance products as per customers’ needs, this is surely going to be a turning point in Indian insurance industry. Meanwhile, let me suggest you to follow KISS (Keep It Short & Simple) principle. Just buy good term insurance plan as per your requirements and affordability. Whether you buy it through a bank or agent or online (directly), it is your choice. Forget about all this buzz and fuss. Will you buy an insurance policy from a bank? (or) Do you prefer buying it from an insurance agent/online? Share your views. Cheers! Dear Feroz..In case of any claim due to accident, your nominee would receive the claim amount. thanks sreekanth my doubt any claim nominee go to bank office claim form and death certificates submitted any other document? 1.how long waiting claim amount ? 2.my 3 bank a/c nominee name my wife and balance 2 bank a/c nominee my daughter name any problem? The waiting period depends on cause of death & varies from one insurance company to other. NEFT Mandate along with Account Proof. Post Mortem & Viscera report attested by police authorities. A copy of medical records at the time of death. No bank appoint extra staff for selling insurance . Routine officers are forced to sell insurance . they always remain under pressure of banking works . So it is not possible for them to explain plans to their customer . Generally to sell an insurance plan to some person demand 2 or 3 visit of agent to customer”s home . Instead of this banks are selling quickly insurance . It is obvious they are pushing their debtors & their family members to purchase plans without assessing their needs or capacity to pay premium . Banker’s are pushed by their controller indirectly to do so. It is only a type of bribe which is taken by bank instead of an individual officer. Dear Sanjay..so end of the day , who has to pay for it? who is the loser? Recently this happens to me when i was at SBI to open account for my relative. Bank employee tells me that it is compulsory to take SBI accidental insurance alongwith to open a bank account. Thanks for sharing your experience. Yes, mis-selling is very rampant at most of the banks. It is a win-win situation for a bank and an insurance company. What about the bank custormers? Will they benefit from buying insurance through banks? What is your view on this? The ” reputed” Banks ,not only mis-sell Insurance products. They are lured by the hefty commissions they get & the Banks the additional revenue generated by them is happy with them. From my personal exprience ”Beware of them” Please consult an CFP/CFA before you sign on the dotted line. Thank you for sharing your views on this topic.